Pack of 4 coasters. Natural slate for presenting and serving food. They come with soft black feet to protect table. 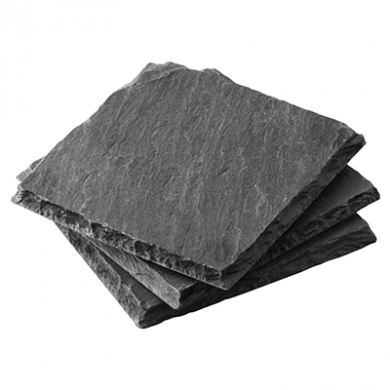 Slate table coasters (4 pack).